Happy Halloween everyone... I thought I would share a few of my favorite Halloween projects from the past 2 months... click the links and you can see each project. 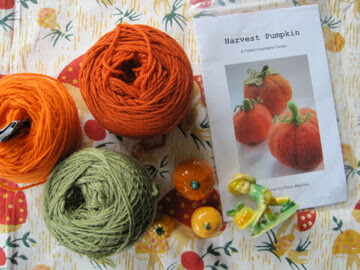 My knitting group knit pumpkins... so cute! Color inspiration... black and white! Don't forget about my giveaway with Heyyoyo... adorable Thanksgiving cupcake toppers, straws and cupcake wrappers. Leave a comment and you are entered!http://jennicanknit.blogspot.com/2011/10/advent-calendar-part-2.html Check out the contests at the link! Thanks for pulling these all together in one place, Jenni! Love it all! That is so beautiful! I enjoyed reading your article. Very inspirational. Anyways, you're very creative and intelligent. Glad i found your post.